Want to have some serious fun getting from one place to another? As thousands of converts already know, that’s where the Honda Grom comes in. Compact, low to the ground, pocket-sized in terms of price and parking, but such a blast it’ll put a giant smile on your face whenever you turn the key. 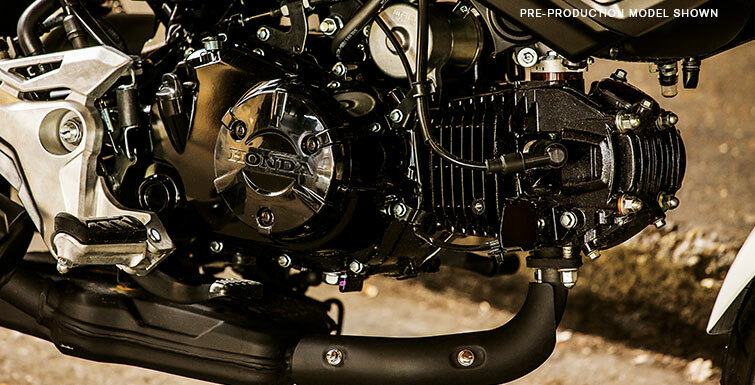 Last year we gave it some sweet updates—a new headlight, new two-step seat, new bodywork, and a new muffler. This year you still get all that plus available ABS, along with a healthy dose of Gromitude. Want to know more? The Grom features a 125cc engine, with a fun factor that’s off the charts. Its unintimidating size makes it great for beginners, and a total, flickable joy ride for riders with more experience. So what are you waiting for? 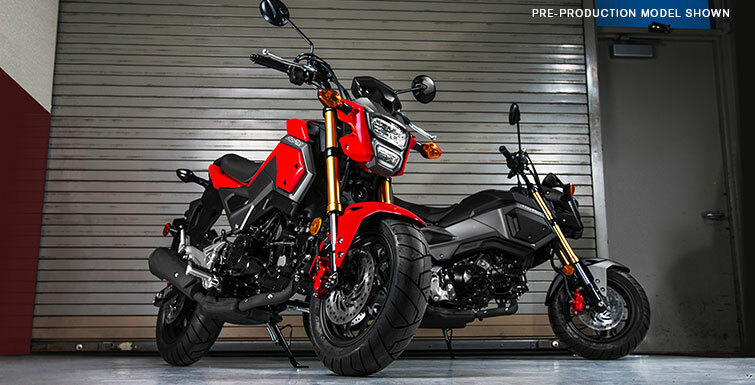 Get yourself a Honda Grom, and start the Gromance. You can do it, and we’re here to help. 125 cc FUEL INJECTED ENGINE: Nobody can match Honda’s reputation for engines, and even though the Grom may be compact, it’s a giant in terms of performance and reliability. 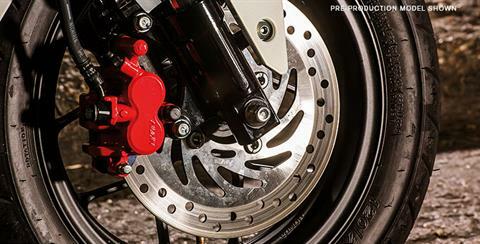 NEW ABS: For 2018, Honda’s Anti-Lock Braking System (ABS) is available on the Grom, which helps you make confident stops under less-than-ideal conditions. 12-INCH 10-SPOKE WHEELS: Tough and strong, these cast wheels and wide tires are just what the urban rider needs. 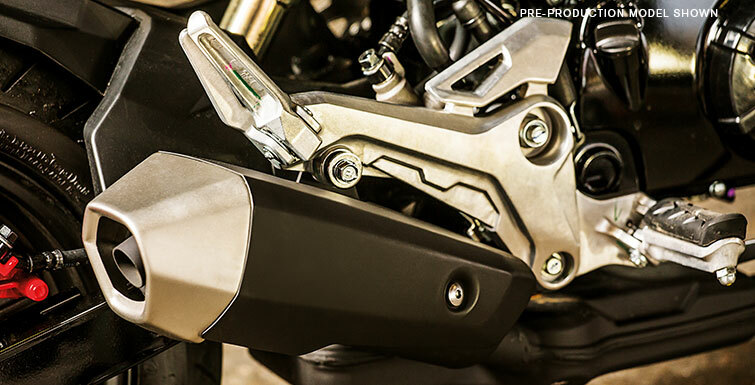 INVERTED FORK SUSPENSION: Just like a top-of-the-line sportbike, the Grom features an inverted hydraulic fork front suspension for control and road feel. 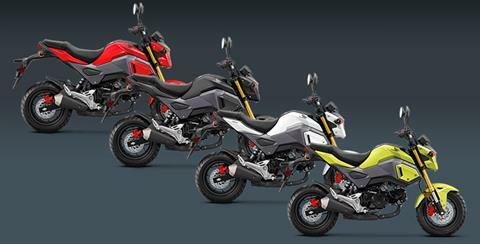 LOOK THE PART: Sharp bodywork, a LED headlight and cowl, and a low-mount muffler keep the 2018 Grom looking cooler than ever. MULTI-FUNCTION DIGITAL INSRUMENTS: Instrument display features speedometer, odometer, tachometer, A&B trip meters, fuel gauge, clock, and indicator for low/high beam. FUEL CAPACITY: Who says being on a budget can’t be fun? 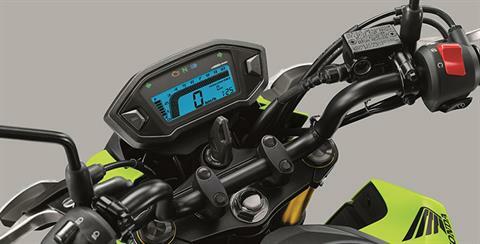 With its 1.45-gallon fuel tank you can venture far and economically too. 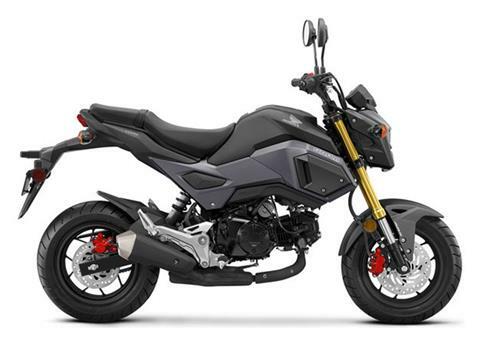 LOW SEAT HIGHT: At just 30 inches the Grom makes it easy to flat-foot it in parking lots or at stop lights. TWO UP CAPABILITY: Want to share the fun with a friend? No problem—the Grom makes it easy to bring a passenger along. 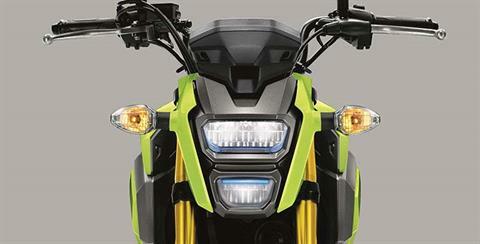 LED TAILIGHT: Forget about big, bulky taillights—the Grom’s LED lamp is bright and clear. 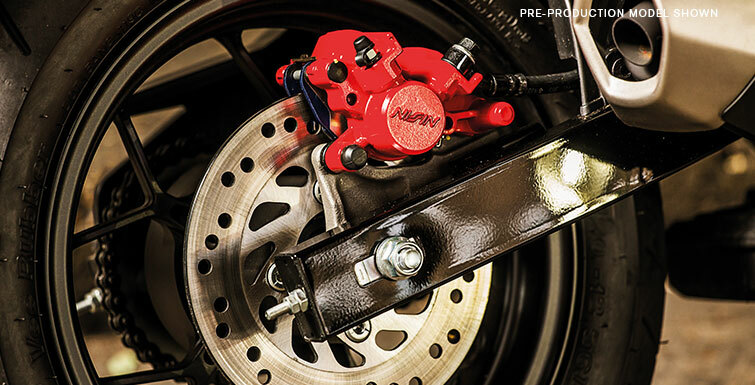 One Year	- Unlimited-mileage limited warranty; extended coverage available with a Honda Protection Plan.